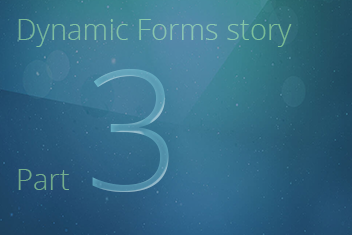 Dynamic Forms - Part 3: Enabling the "Position" and "Industry" fields based on other values. 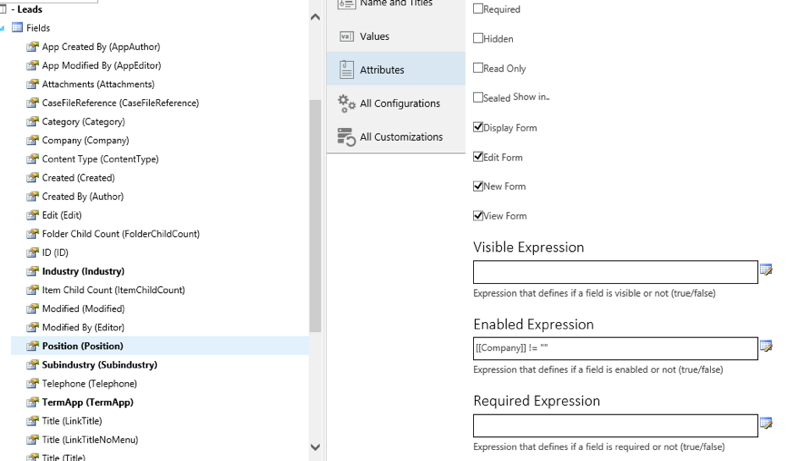 For now, all of the fields on the “Add new” and “Edit” SharePoint list forms are enabled and visible. But, the requirement was that the “Position” and “Industry” fields are only enabled if the field “Company” has been entered. Field “Subindustry” should not be visible at all, if the field “Industry” has not been selected. Let’s go back to the skybow Solution Studio, and make those changes. 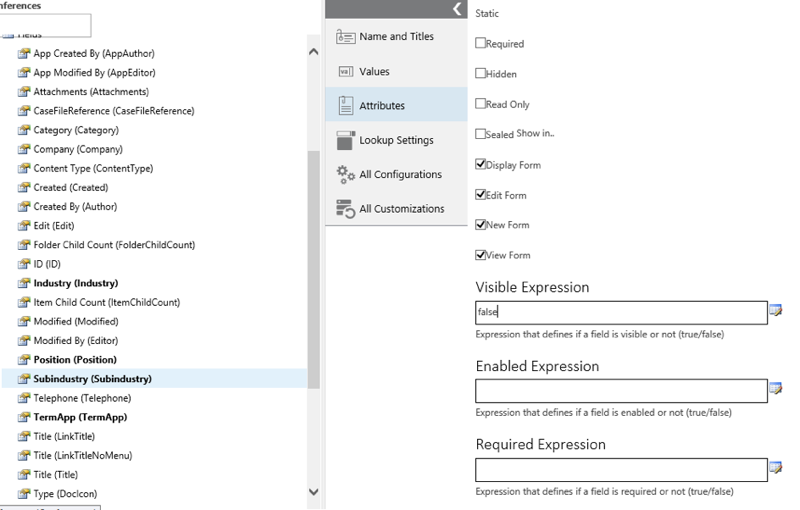 Setting enabled expression for the Position field. For the Visible Expression in the Subindustry field, we will, for now, just enter “false” – this will make the “Subindustry” field invisible no matter which values we enter into other fields. Setting visible expression of the Subindustry field to false. After saving this configuration, and opening the “Leads” list item in either the “Add new” or “Edit” form, we will see that “Subindustry” is not visible at all, and that the “Industry” and “Position” fields are enabled only if the field “Company” is entered.